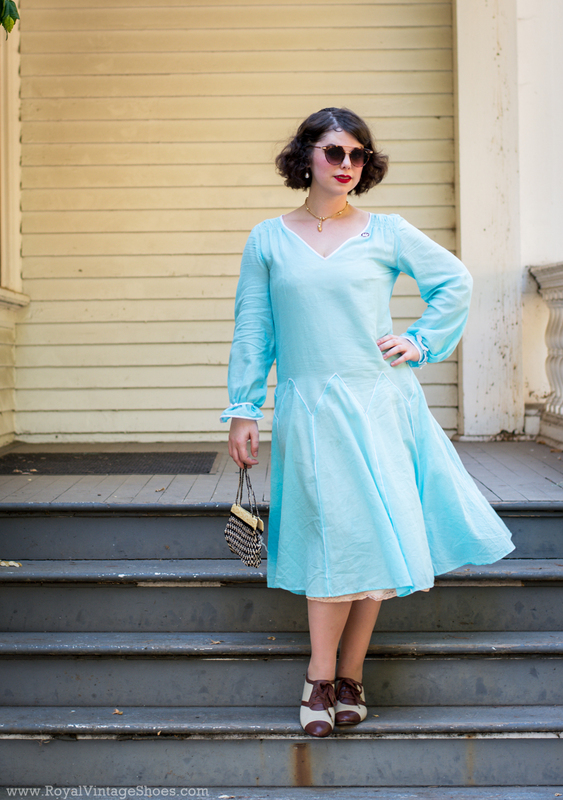 Abby here, reporting for 1920s vintage-y fashion-y goodness! 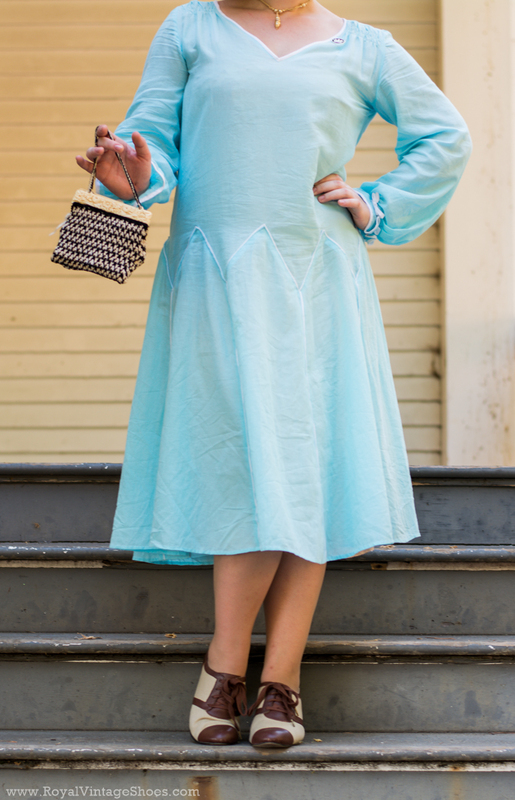 Today, I wanted to share with y'all my snazzy new 1920s dress I made for The Gatsby Summer Afternoon in Oakland earlier this month. 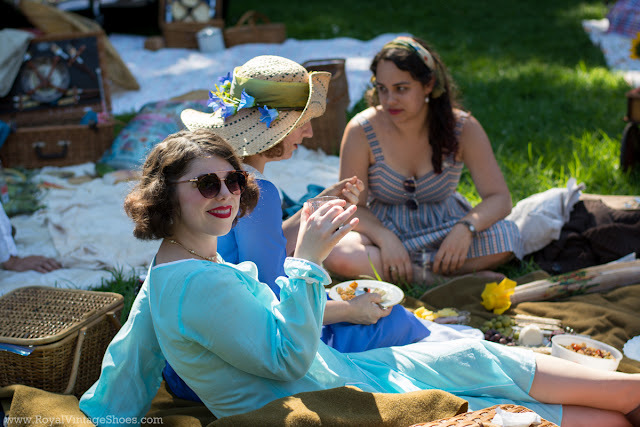 Lounging with some lovely friends at the Gatsby Summer Afternoon in Oakland. My dress pattern is from the amazing Decades of Style Pattern company and is #2502 1925 Zig Zag Dress. I saw someone wearing this dress at Costume College earlier this summer, and I just fell in love with the sweet details that really make it quite the beautiful dress. I also loved the fact that it had a sleeved option, as sleeveless garments are not my favorite things to wear. My fabric is a nice cotton voile from our local Mill End fabric store here in Reno, and it was just perfect for this dress. My white details are out of just a white cotton voile scrap that I had laying around from ages and ages ago. I've always had a soft spot for 1920s fashion, and even though I don't consider myself any sort of real collector of antique or vintage clothing, I seem to always find myself acquiring 1920s dresses for a variety of reasons. So, while I love the decade, I was a little bit nervous about rocking this style, because I am not the ideal body shape for this look. But...I really wanted to have a lot of fun at the event and just enjoy wearing something that is soo unique for me, and I was hoping that the Decades of Style dress would help me feel pretty in this decade. Guess what? It did! - thank goodness! This pattern, despite how intimidating it looks, was actually pretty simple to put together. The bodice and sleeve construction was, for the most part, really easy. Even the skirt was much easier than I had anticipated. I'm not a machine sewer (as I've said before - here), and I was really nervous about machine sewing all of the piping details onto the skirt. Everything was on the bias in the skirt and I really wanted it to have a polished finish. So, I did a lot of basting and a lot of pinning, and it totally paid off. I am extremely pleased with how the skirt came out in this dress. Adding the white piping details to the skirt per the pattern instructions. 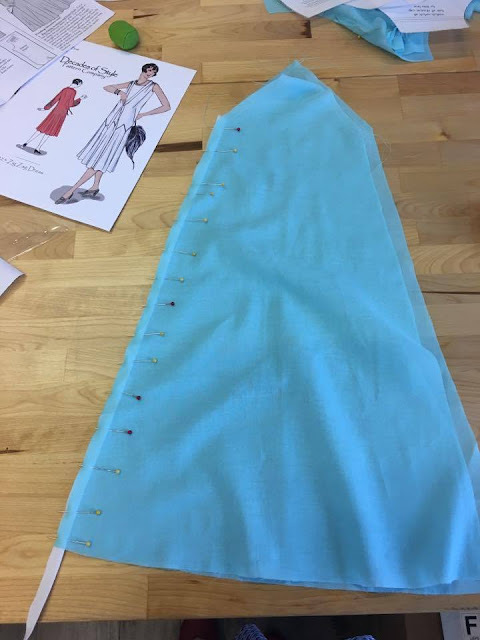 When combining the skirt and bodice of the dress, I first pinned and then hand basted the skirt into place before top stitching on the machine. This next part, I am going to blame heavily on myself, because I truly think I over thought it, and I want to warn others of not making my mistake. I had a bear of a time with the gathers at the shoulder for this dress. It just drove me bonkers, and I just think it was because I'm used to gathering up on average 2x the width vs. 1.5x or less. I just want to gather everything up really tight, and that isn't always how it's supposed to go. I also had my thread pull out a couple of times because of how thin and loosely woven my cotton was, and that just, simply, pissed me off. Eventually, I got there though, and it does look pretty finished...even though it made me mad. I did make a couple of modifications to the pattern to 1. make my life easier (yeah, I'm lazy...) 2. fit the aesthetic and design balance I was going for, that the original instructions wouldn't have worked for. The first was how I modified the neckline - I just bound the V-neckline in white bias tape instead of adding the necktie. I was going to make the necktie separately, but I ended up just running out of time. I do want to make one though, just to have to wear with this outfit and future ones. The next thing I did was change how the cuff of the sleeves were finished. 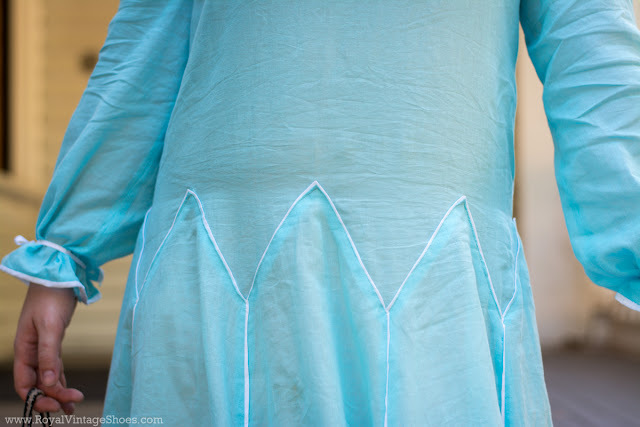 The original pattern calls for cuffs, and while I had cut them out to stitch up, I was fussing about how I could elegantly include more white details to help balance the dress. 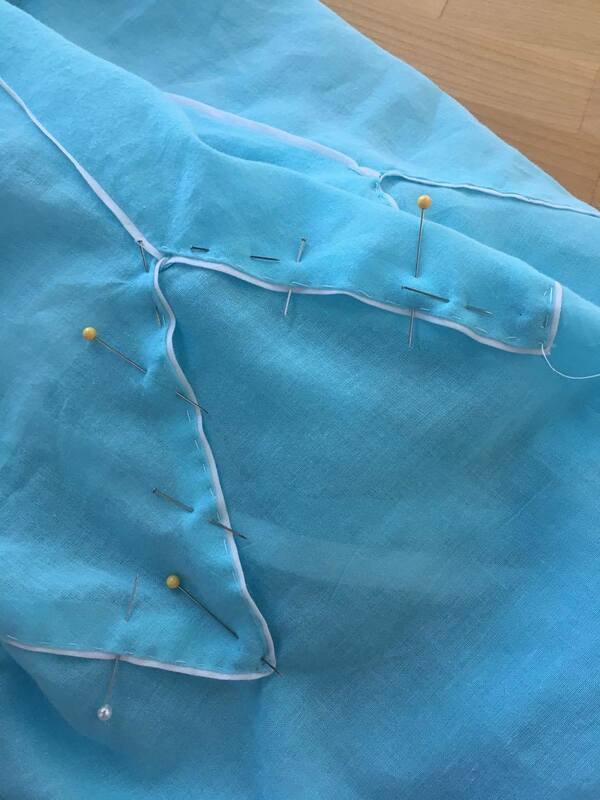 I first tried just binding the edges of the sleeve and leaving them loose, with great hopes that the look would be ethereal and elegant....but instead I just felt like a big blue potato. My fix was to pull some inspiration from the 1810s, and add white ties around my wrist to give a ruffled cuff. Luckily, it totally worked, even though I do need help with tying the sleeves. Y'all...I just love this dress pattern....so much so that I've already bought some wine colored worsted wool to make a winter version for this season. While I don't know if I'll do the piping details again for the winter version, I just loved how this gown moved and made me feel. I'm hoping for a very elegant and comfortable winter work dress. I highly, highly, recommend this Decades of Style pattern for your collection. 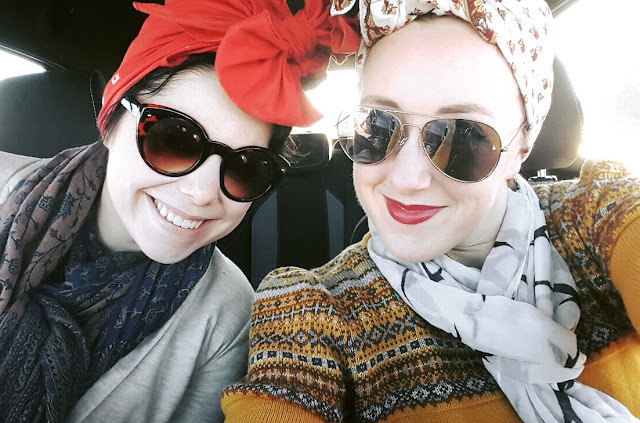 Feeling pretty at the Gatsby Summer Afternoon - even if it was incredibly hot! Purse: 1920s vintage from The Nitty Gritty. Jewelry: Necklace was my Great-Grandmother Scott's (Pre-1935), Earrings are from Sign of the Grey Horse, and Black/White Royal Vintage Enamel Pin.